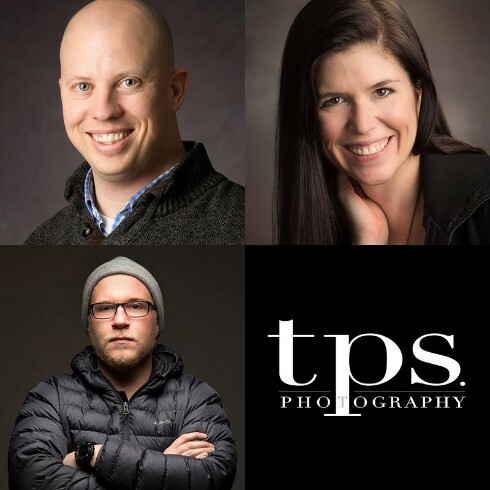 Chris Garner, Cathy Anderson, and Ben Earp form the artistic team at TPS Photography. Our studio is located in Morganton, NC in the foothills of the Blue Ridge Mountains, and the only studio in the country which offers three Certified Professional Photographers under one roof. Why is that important? There are only 5,000 Certified Professional Photographers in the world. This means that we are internationally certified and had to pass a rigorous testing procedure that is equivalent to a lawyer passing the bar exam. We are all very passionate about the art of photography, which is illustrated clearly in our work. Collectively, we have nearly four decades of professional photographic experience. Photography runs in our blood. Chris learned everything he knows about printing and portraiture from his dad, and is actually a third-generation photographer. His grandfather, Ben Williams, and his father, Gary Garner, founded Garner-Williams studio, formerly in downtown Morganton and our current studio’s predecessor. From the early days in a print lab in Morganton, to the classically modern portrait studio of today, Chris has built a rock-solid, client-driven studio focused on customer service. With nearly two decades of experience, his business expertise and desire to craft timeless heirlooms create a winning solution for a thriving portrait studio. Cathy started out as a photographer in Mount Holly, NC and brings nearly a decade of photographic experience to the table. Her father, Randy Price, also owned a studio for a short period of time and taught her everything she knows about the art of creating portraits. Cathy briefly opened a studio in Newton, NC, choosing to merge her business with Chris in early 2012. Her modern and edgy style creates a new phase and look for studio, offering clients a new portrait style option. Ben is a first-generation photographer, but has already built quite a solid portfolio at a very young age. Prior to working with TPS, Ben worked for The Shelby Star as a photojournalist, and had several images syndicated in national publications. Ben also currently photographs as a freelancer for NASCAR in his spare time. We bring a modern, yet classic feel to every image that we create, guaranteeing that your family heirlooms will always remain timeless. We love to travel and have photographed families and groups all over the United States. All of our custom portraits are printed at our in-house print lab to make sure your piece of photographic art has an extra dimension of perfection. From the creation of the portrait to the final print, we believe in handling the entire process to make sure that each step of the way is perfect. The combination of keen business sense centered around our clients and a myriad of portrait styles and options gives our clients exactly what they want. We are proud to offer a 100% guarantee on every image we create; if you are not thrilled with the service and artistry we provide, you get all your money back–no questions asked!